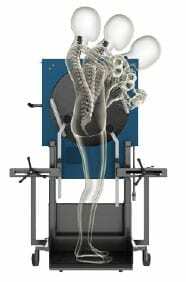 Vertebral Motion Analysis (VMA) is the First New Quantitative Spine Imaging Test in Over 75 Years. 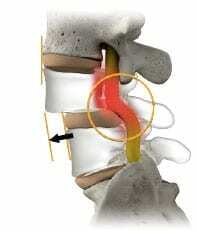 Instability occurs when vertebral bodies slip. When this happens, nerves can be im-pinged, which can lead to symptoms, such as pain. Some instability occurs only during spine bending. When bending triggers instability, it can be painful. However, if a patient avoids painful positions during testing, the surgeon many never know instability is present. With VMA testing, hardware gently guides patient bending to help achieve positions that result in the detection of instability. VMA is an FDA-cleared, non-invasive, painless examination that uses a C-Arm (fluoroscope) to capture video-type x-rays of your spine in motion. These videos are then analyzed to produce spine motion measurements. This information helps your physician administer a more accurate and thorough diagnosis. VMA testing usually takes about 20 minutes. Please plan to arrive early and allow plenty of time to locate the testing facility. The test involves the use of machines that assist with spine bending, by gently guiding you through a series of spine bending routines. While you are doing these bends, the technician will be capturing x-ray-type videos of your spine in motion. These bending routines should not cause any discomfort, but if so there is a “stop” button you will be holding that can be pressed at any time to stop testing. Health permitting, please refrain from eating or drinking. We have locations in Newnan, LaGrange, and Peachtree City so do not hesitate and contact us today. We have a team of professionals that are here to help you avoid a life long battle with spine pain and through treatments such as VMA you can overcome the battle that has been keeping you in discomfort. This imaging testing is cutting edge and can allow for our team to better provide further treatments, if you have further questions please refer to our FAQ page or even the informational printouts for the White Oak Surgery Center where you will find various information on treatments, symptoms, and more.